The Top Pharma List's top 50 pharmaceutical products by global sales ranking is compiled from GlobalData's pharmaceutical revenue figures. Lyrica was produced by Pfizer and Eisai. rival to Pfizer’s big-selling Lyrica (pregabalin) brand which brought in $4.7bn last year despite generic competition in some markets. 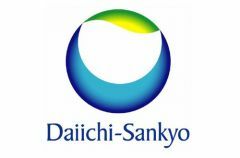 ... Like the original Lyrica formulation Daiichi Sankyo’s drug is dosed twice-daily. Pfizer has large sales in CNS - $8.5bn in 2017. The majority come through Lyrica ($5bn). ... In Europe, a patent dispute over Lyrica became arguably the biggest CNS story in recent years.